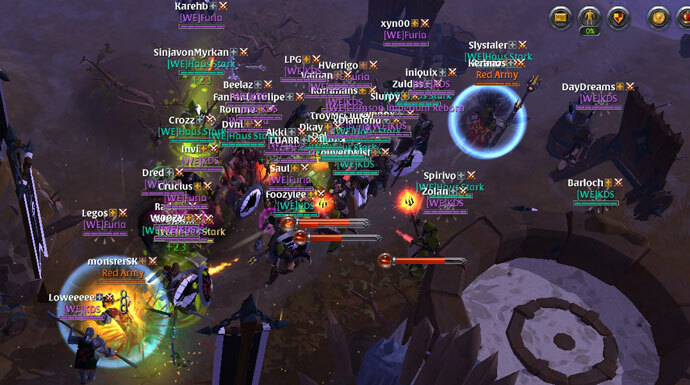 This week’s guild spotlight features a guild full of German-speaking gamers that have decided to live for nothing but their guild. 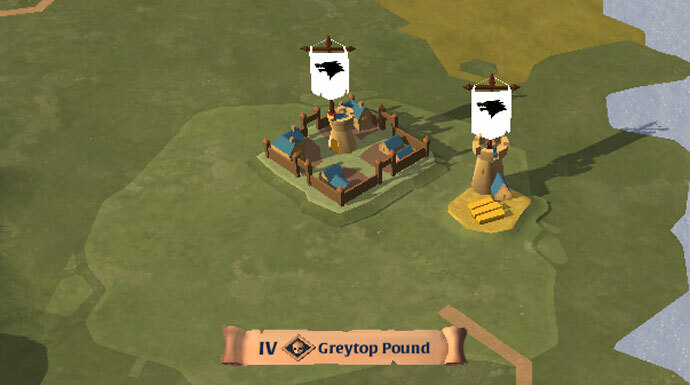 As of writing, Haus Stark has their hands full defending their home in Greytop Pound, but guild leader KeRin still found the time for this interview. We talked about their current situation in the black zone, the guild’s future plans and last but not least what it actually means to be a member of Haus Stark. Enjoy! Haus Stark was created at the beginning of the first Beta Test in November 2015. Ever since, the guild has been trying to make their name as a German-speaking community and keep in touch with the rest of the German-speaking guilds of Albion. While they still have a good way to go to be named in the same breath as ZORN, their dedication and tenacity already shows the fruits of their labor. With the start of Galahad, Haus Stark decided to turn it up a notch by venturing into the black zones of Cumbria. However, unlike most guilds, they do not measure their success by the amount of owned territories, but instead they focus on their own progression in skill, knowledge and the time they spend together as a guild. 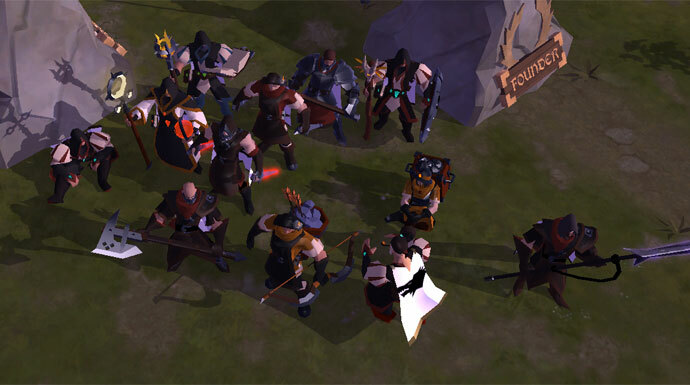 Being a new player in the Outlands, Haus Stark was at first overwhelmed by the harsh competition around their new home as they quickly came to face-to-face with the Russian guild Red Army. Their enemies’ unpredictable tactics, numbers and resources forced the guild to put in extra hours into the game in order to keep up. However, thanks to dedicated members, the help of their new alliance WE ARE and above all the assistance of the allied guild KDS, Haus Stark managed to defend against the relentless attacks of Red Army. For a long time, the guild has tried to evolve around the idea of fulfilling every single member’s needs. After countless different approaches changing the guild to satisfy those needs, Haus Stark recently came to a very important conclusion: You cannot please everybody all the time! Everybody in Haus Stark started to work together hand in hand towards their shared goals as a guild, rather than pursuing their own needs. Now, everything and everyone belongs to the guild as the members of Haus Stark are the guild. There is no more personal property within Haus Stark. Being a member means to embrace that philosophy and standing for it. 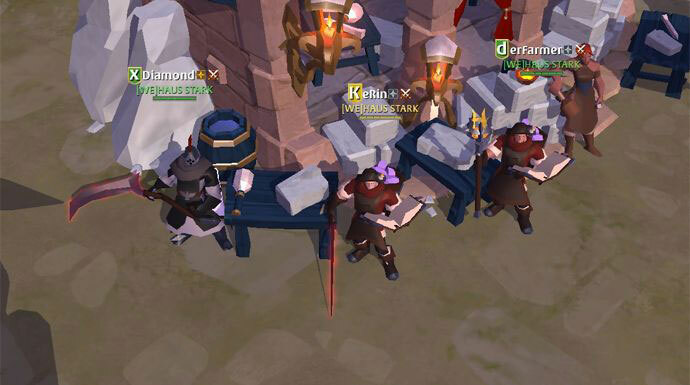 As a return for the time and effort Haus Stark’s members invest into their guild, they get everything they need to successfully take on their next challenge. Through this change in mentality, Haus Stark has become extremely efficient at focusing their resources and manpower where they are needed the most. Comparing the guild’s total resource value with those of their current enemies, they use only 10% to 20% of what their opponents are working with. Nonetheless, even while being outnumbered heavily with their roughly 60 members, Haus Stark has become more than just a nuisance to their enemies. Haus Stark’s development is definitely built on the fact that everybody acts in concert, and the dedicated leadership is making sure they get steered in the right direction. Thanks to the hard work of KeRin and his two Right Hands Larpskendya and xDiamond, the guild keeps moving forward towards their goals. Each of them manages their own area. 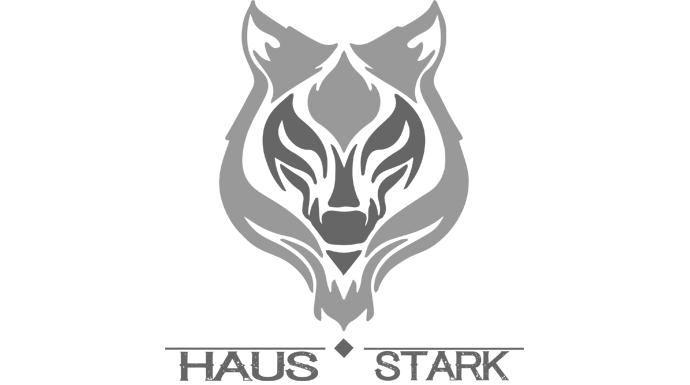 Larpskendya is the guild’s mastermind and focuses on planning and managing the guild as well as dealing with internal affairs. xDiamond is the guild’s executive force, first raid leader, and Haus Stark’s ambassador. Lastly, KeRin makes sure the guild is a well-oiled machine, where every gear works together smoothly. On top of those three core members, Haus Stark also has a set of hard-working officers to help out wherever they are needed. In order to ensure proper communication, Haus Stark has three weekly meetings: one for the guild’s core leadership, one for officers, and one for the entire guild. For the remainder of the beta, the main goal of Haus Stark is to hold and manage their home in Cumbria but they also plan to take back what they have lost to Red Army. Another obstacle Haus Stark has to overcome to survive in the Outlands, is to completely adapt to their new philosophy as their old mentality still peeks out sometimes causing them to temporarily lose focus. Nevertheless, even while experiencing those problems first hand, Haus Stark wants to stay as a competitor in the black zones. The only limit they have set themselves is the number of territories they can conquer within their own time zone. “We have come a long way and are ready to go even further. I encourage everybody who cherishes the advantages of a well-organized guild and those who also want to contribute and spend their time meaningfully to apply to Haus Stark, as we will stand our ground until the end. What is your experience with this German guild? Have you encountered Haus Stark in battle or on a different occasion? Let us know in the comments below or on our forums! Want your guild to be featured on the Albion Online website? Contact UrzakeFrostgard via the forums or on Discord (UrzaKeFrostgard#5431).